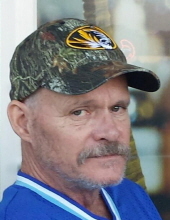 Lyndon Ray Cantwell, age 57, of Clinton, died at his home on Wednesday, April 3, 2019. Lyndon was born February 5, 1962 to James R. Cantwell and Berniece ‘Durham’ Cantwell of Kansas City, MO. After high school, he went to work as a laborer in construction. Surviving Lyndon are his children, Brandon (Michele) Cantwell, Tiffany Jackson, Bailey Jackson and Dakota Jackson; four grandchildren, Kendall Cantwell, Kaci Cantwell, Lily Shaw and Khaleesi Jackson; three brothers, Rick (Penny) Cantwell, Douglas (Vicki) Cantwell and Christopher (Angel) Barton; several nieces, nephews, other family and friends. The family will host a memorial visitation and Celebration of Life at 4:00 p.m. on Saturday, April 27, 2019 at the Pleasant Hill Pool Hall. The family asks that memorial contributions may be made to the Lyndon Cantwell memorial fund and left in care of Consalus Funeral Home, 209 S. 2nd St., Clinton, MO 64735. To send flowers or a remembrance gift to the family of Lyndon Ray Cantwell, please visit our Tribute Store. Guaranteed delivery before Lyndon's memorial service begins. "Email Address" would like to share the life celebration of Lyndon Ray Cantwell. Click on the "link" to go to share a favorite memory or leave a condolence message for the family.